Big Bend - Texas Nature: Crouching Longspur, Hidden Warbler. Patch birding challenge. Crouching Longspur, Hidden Warbler. Patch birding challenge. I don't think one needs to post every bird you find to TEXBIRDS, but certainly those interesting birds you find and milestones like 100. 150, 200 species would interest many. I know many OCD types like myself would like to see lists though, so to keep the chatter to those most interested I did start an open Facebook Group call "Texas Local Patch Challenge" where you can post all you want. eBird.org hase some good tools for keep track of what you find in your patch. Just go to "Explore Data" in the top tool bar, then select "Patch Totals" in the right hand box. Then click on Add Patch and select the locations in your patch. eBird will keep your patch total for you. What are you waiting for, 2013 has already started! That circle above? Other than Marathon and Post Park... it's all inaccessible private ranch. I'm really thankful that David issued the challenge. 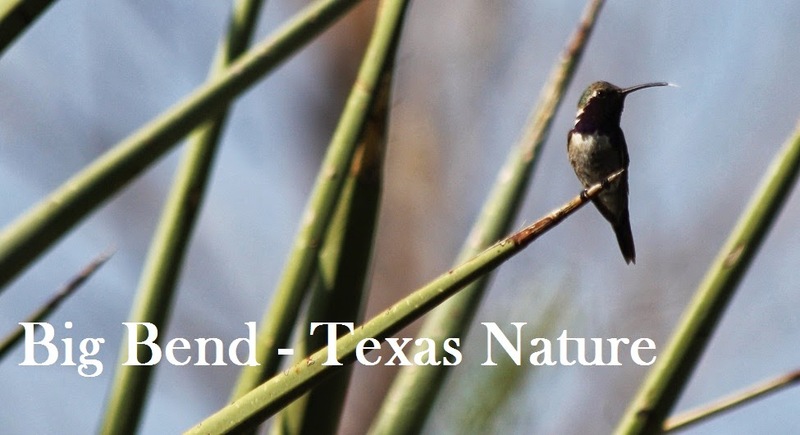 The timely nature of a new year and the blossoming/festering expansion of the facebook birding community (not just among Texas birders) as well as the eBirding increase has been something I've been curious about. Curiosity has, in a few places, given way to exasperation: I've only been a reviewer for eBird for a few months and already I've become disheartened with the lists riddled with errors. ID errors are one thing, but listing 3-4 counties worth of sightings from one 'hotspot' is another. Perhaps it is a symptom of birders traveling outside of their home turf, unaware of county lines; locals seem immune to this error. 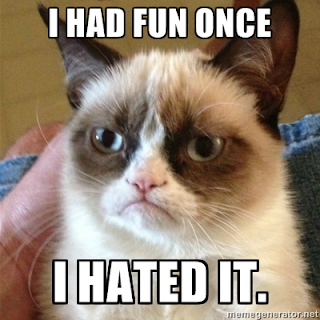 Perhaps it is a symptom of trip-list or day-list or year-list accumulation. County listing - the Texas Century Club (100 species in 100 counties) - would virtually eliminate this issue if folks were adhering to county list protocol... but I digress. What little I've seen in the process of reviewing is that many, many errors are made in the name of Lists - Texas Big Year, Big Year, etc. Several species accounts have brought this to light. A hasty survey in unfamiliar territory leads to many assumptions and many glitches in the data. "Common" birds are overlooked even though they may be out of range (Common Grackle is... uncommon. 75 reports *can* be wrong!). "Rare" birds are reported because of naive excitement (Mexican Jays are not Western Scrub Jays). Big Years (and Bird-a-day Years) are exhausting, expensive, tail-chasing and sanity-draining. Big Days are lovely substitutes! 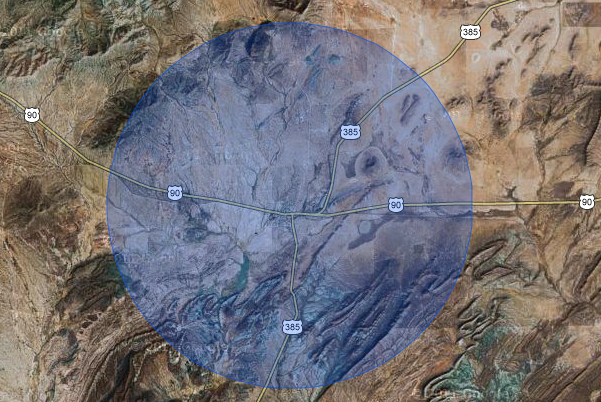 Lest this post further gripe about how everyone enters Brewster and Jeff Davis County birds in Reeves County, here's a lovely screen shot of my plans for 2013. 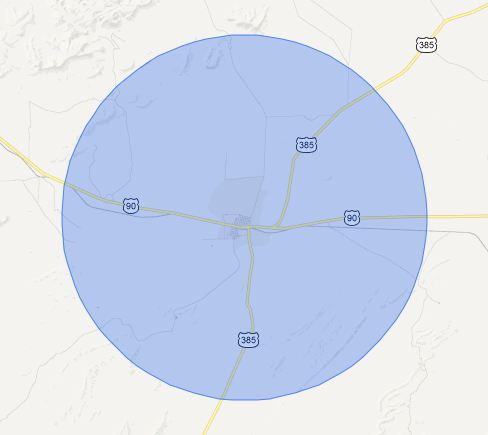 This circle includes zero traffic lights, 3 train crossings, a cemetery, Post Park, the entire town of Marathon, and one border checkpoint. Should be interesting! Apparently we've already recorded at least 208 species in this area in the last 2.5 years. It's a happy combination of competitive (because apparently that's how birding is these days) and the opportunity to get intimately familiar with your closest surroundings. Very nice! This seems like a really great, well-planned idea, and while I am not an eBird reviewer, I can sympathize with the annoying recording errors (I see them come up on the AZ listservs). I've always been a bit put off by the idea of county listing, in large part because the counties in Arizona are not so much geographically as politically and arbitrarily defined, which made the occurrence of birds in one county and not the other somewhat irrelevant. That being said, eastern counties are much smaller and more particular than those in Arizona. I'm looking forward ti updates from y'all County challenge. Good luck! Texas counties are pretty ridiculous, and the fact that we really only have 3 roads and a tiny town... will make things interesting! Around here, we aim to please.